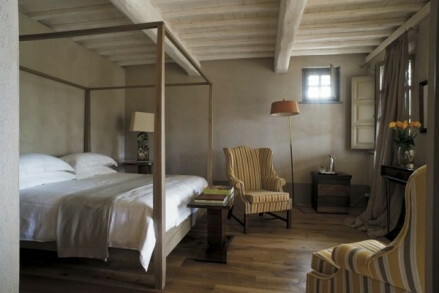 Understated elegant suites with an extraordinary collection of contemporary art works, in a hisotirc frescoed palazzo. Private parking on site for EUR 25 per day and off site for EUR 10 per day. Pets welcomed, charges may apply. The 15th century Romanesque Church of Saint Augustine has been reincarnated as an space for holding exhibitions. Pick up some local produce from the weekly market in Piazza dello Statuto. Be sure to set aside some time to chillout with a cocktail in the palazzo's leafy courtyard. The hotel has bikes for rent, this is an ideal way to get around, explore the town and surrounding countryside. The hotel's fragrant landscaped gardens are perfect for an afternoon stroll. The Pietrasanta Marina, 3km away from the town, is considered to be some of the most stunning beaches in Italy. Pietrasanta’s 14th century San Martino's Cathedral with its red brick belltower, is just a 5-minute walk away. 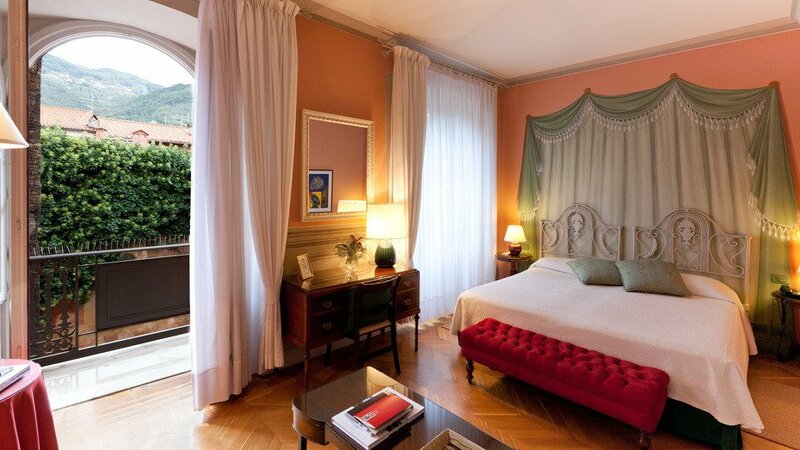 Palazzo comprising two magnificent buildings with 18th century frescoes. Great collection of contemporary Italian art.